My client for this cake called on very short notice and asked if I could make a cake for her daughter’s 9th birthday. She didn’t have anything really specific in mind, but since there was very little turn around time, we decided on something super simple but polished and cute. 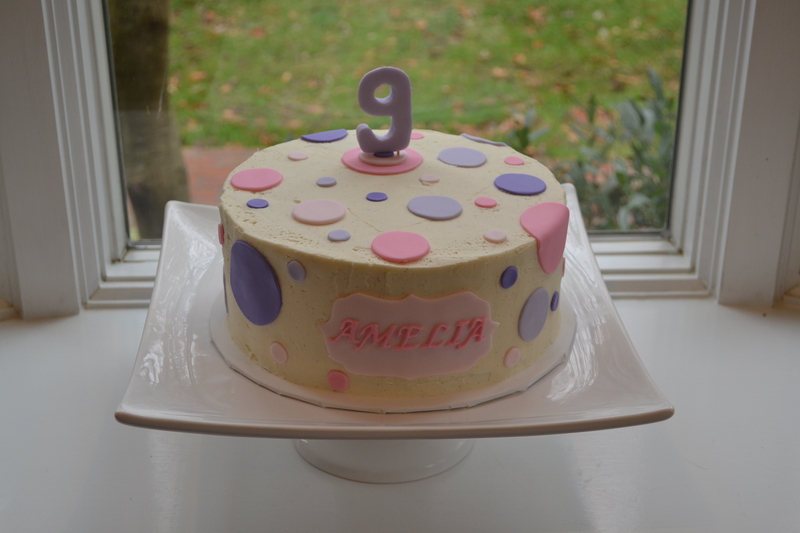 I used a simple buttercream frosting which I accented with fondant polka dots and a fondant “9” on top. My client also asked that I use three layers of frosting for the inside of the cake instead of the traditional one which is an option and gives the cake a little added height.